You may qualify for indefinite leave to remain (ILR) in the UK on the basis of long residence if you are a non-UK national and have lived in the UK continuously and lawfully for 10 years. You can apply for indefinite leave to remain on the ground of long residence regardless of the type or length of leave previously granted. What are the requirements for ILR on the ground of long residence? You are not in the UK in breach of immigration laws. You were absent from the UK for less than 6 months however had no leave upon departure or return (or both). Representations submitted on your behalf. 2 years prior to the date your application is decided, you have been convicted of an offence for which you received a fine or community sentence (non-custodial sentence) or a court disposal is recorded on your criminal record (penalty notice or caution). You can still apply for indefinite leave to remain under long residence route if you have overstayed your recent leave, provided that you apply within 28 days. 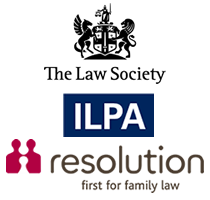 Dependants will be required to submit separate applications and issued ILR in their own right.